United States Army Pvt. 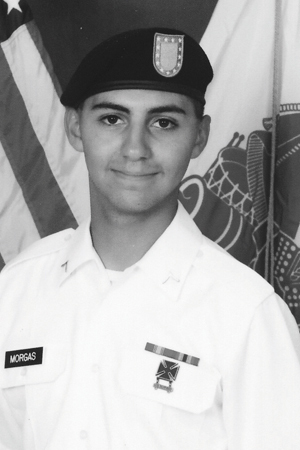 2 Noah Jose Morgas successfully graduated on Aug. 17, 2017, from basic combat military training at Fort Benning, in Columbus, Georgia. During the 10 weeks, Pvt. Morgas trained under the Charlie Company, 1st Battalion 46th Infantry regiment. During his training he studied the Army mission and core values, gained an understanding for the organization, military customs and courtesies, performed in drill and ceremony marches, physical training, rifle marksmanship, field exercise and other combat exercises. Noah is currently a senior at Tooele High School and enrolled in the ROTC program as an executive officer. Upon his completion and graduation from high school next May, he will continue his Army training and education as a unit supply specialist. Noah is the son of the late Priscilla Morgas and grandson of Lino and Evelyn Morgas of Tooele, Utah.